Allina Health occupational therapists and nurses work with older, low-income homeowners who want to continue aging in their homes but require home modifications to make spaces safer and more accessible. Those clients are referred to Twin Cities Habitat for the recommended modifications and critical repairs to improve the health and safety of the home and its owners. Twin Cities Habitat aims to serve 35 Allina Health patients in this first year. Modifications will include grab bars, hand-held showers, tub cutouts, improved lighting, safer flooring, and extra railings. The work is carried out by Habitat staff and sub-contractors, with some opportunities for volunteers to build accessibility ramps. Twin Cities Habitat is seeking additional healthcare partnerships to grow its Age in Place services. The organization is building on 20 years of expertise through its A Brush with Kindness home repair program, which has served more than 2,000 homeowners, at least half of whom were elderly. The Minnesota Department of Human Services (DHS) is helping fund this work via a Live Well at Home grant. These DHS grants expand the capacity of long-term service organizations and support people age 65 and older staying in their homes and communities of choice. A $1.25 million grant from the Harry and Jeannette Weinberg Foundation to Habitat for Humanity International is supporting new Age in Place programs in five U.S. cities (Twin Cities, Denver, Philadelphia, Metro Maryland, and Susquehanna). The programs are based on a model designed by Johns Hopkins School of Nursing called Community Aging in Place – Advancing Better Living for Elders, or CAPABLE. The CAPABLE model combines nursing, occupational therapists, and Habitat’s expertise in home repairs. This is the first time CAPABLE will be deployed in Minnesota. Other local foundations, businesses, and philanthropic individuals have made gifts to help develop the Age in Place program at Twin Cities Habitat. With 30 Habitat affiliates across the state, Twin Cities Habitat sees significant opportunity for growth with additional resources. Johns Hopkins research suggests a six-to-one return on investment: for every $1 invested in the CAPABLE program, $6 are saved in future healthcare costs. The Twin Cities 65+ population will double in the next 15 years and accounts for one-third of Minnesota’s homeowners. Most (80%) express a desire to age in place. Our housing stock is also aging. Less than 5% of current housing stock is built to allow those with moderate mobility issues to safely navigate. Falls are one of the top reasons older adults need to move from their homes. 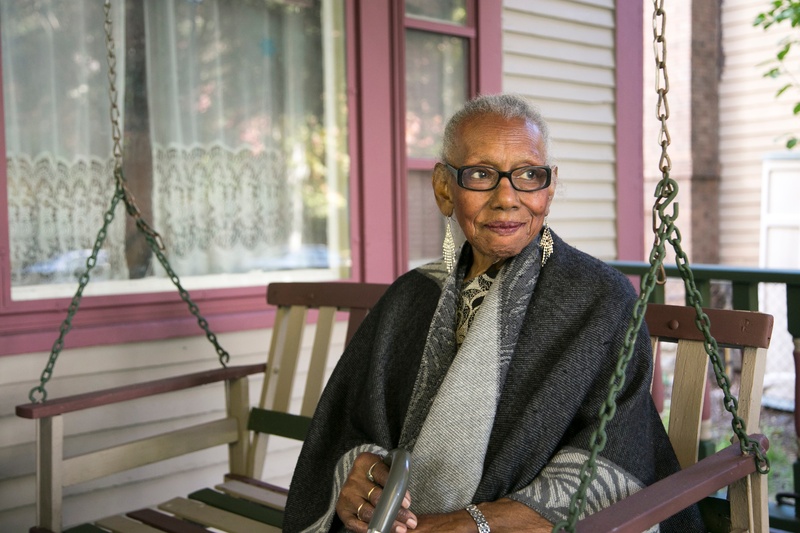 A 2016 Wilder Study revealed that Minnesota has more than 15,000 (6,000+ in the metro area) senior, low-income homeowners that need help modifying and repairing their homes to successfully age in place. For more information, or to set up an interview, please contact Kaitlyn Dormer at 612-305-7123 or Kaitlyn.Dormer@tchabitat.org. Allina Health is dedicated to the prevention and treatment of illness and enhancing the greater health of individuals, families and communities throughout Minnesota and western Wisconsin. A not-for-profit health care system, Allina Health cares for patients from beginning to end-of-life through its 90+ clinics, 12 hospitals, 15 retail pharmacies, specialty care centers and specialty medical services that provide home care, senior transitions, hospice care, home oxygen and medical equipment, and emergency medical transportation services. Learn more at allinahealth.org and join us on Facebook and Twitter. The Harry and Jeanette Weinberg Foundation, one of the largest private charitable foundations in the United States, provides approximately $100 million in annual grants to nonprofits that provide direct services to low-income and vulnerable individuals and families, primarily in the United States and Israel. Grants are focused on meeting basic needs and enhancing an individual’s ability to meet those needs with emphasis on older adults, the Jewish community, and the Foundation’s priority communities of Maryland, Northeastern Pennsylvania, Hawaii, Chicago, New York City, San Francisco, rural communities in the United States, and the State of Israel. The trustees, some of whom also serve as executive officers of the Foundation, are Chair Robert T. Kelly, Jr., Donn Weinberg, Alvin Awaya, Fay Hartog-Levin, and Paula B. Pretlow. Rachel Garbow Monroe serves as the Weinberg Foundation’s President and Chief Executive Officer. www.hjweinbergfoundation.org. 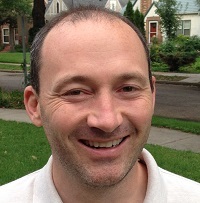 Matt Haugen has been collecting and sharing the great stories of Twin Cities Habitat for Humanity as Communications Manager since 2010. He earned his undergraduate and master’s degree from Northwestern University before spending ten years writing for TV news in the Twin Cities. He’s passionate about convincing people when he’s right on things, and being educated about it when he’s not.